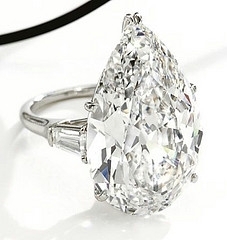 How much would a half-carat diamond ring be worth? I have a half-carat diamond ring that I want to sell. About how much might I be able to get for it? The value of a diamond is based on the 4 c’s – color, clarity, cut, and carat. The only way to tell the value of your diamond is to have it appraised. One thing for sure is that you will not get as much for it as you (or someone) paid for it. This entry was posted in Glittering Diamonds and tagged carat, diamond, diamonds, engagement, ring, on December 14, 2009 by admin.